Keema has been one of my favorite dishes since childhood. You can make this with any type of ground meat. 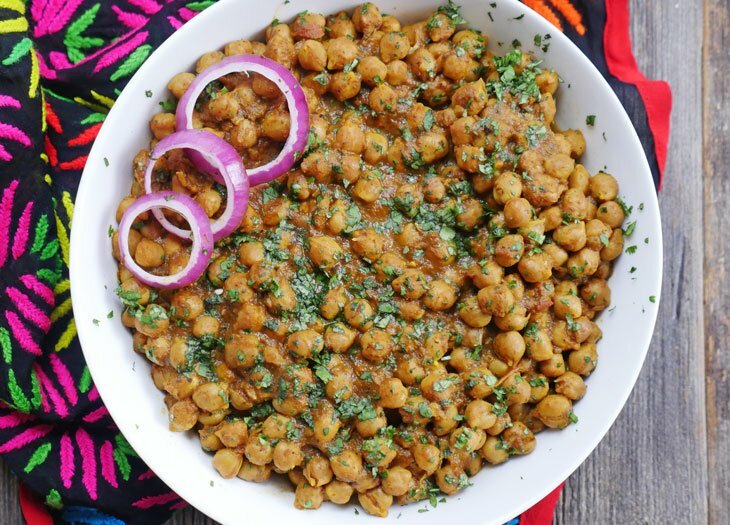 I typically eat this over rice but you can serve this with flatbread or even use it as a stuffing for samosas (Indian pastries) or parathas (Indian flatbread). 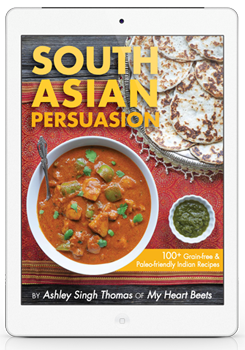 I feel like this recipe as well as butter chicken are good “gateway” dishes to Indian cuisine because nearly everyone loves them! 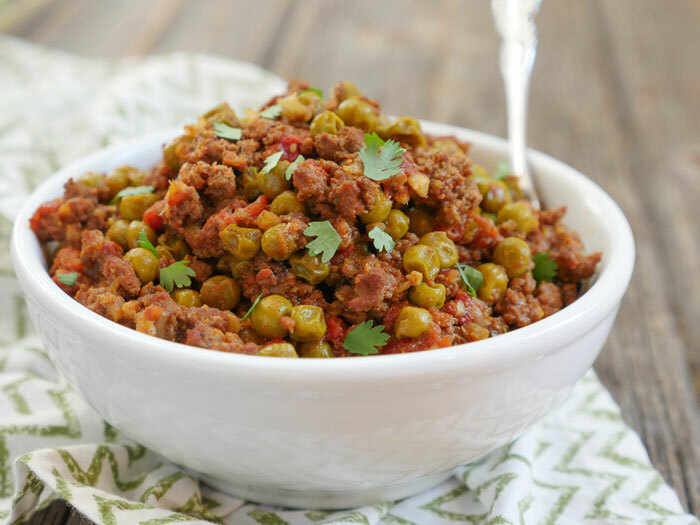 Keema is one of my favorite Indian recipes because of how very easy it is to make. I have a recipe for it in my Paleo Indian eBook, but I decided to adapt the dish to be Instant Pot friendly. 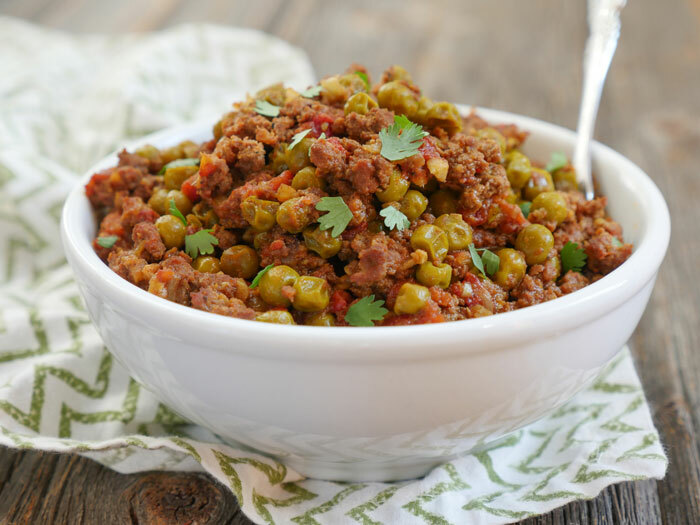 If you’ve never had keema before – it kind of reminds me of Indian spaghetti sauce, only with less tomatoes and way more flavor. Oh, and peas. Am I crazy for making that comparison? Someone tell me that you agree with me…? I feel like keema mattar makes for a good “gateway” dish into Indian cuisine. That and Butter Chicken. 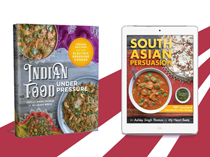 Make either of those and I’m sure you’ll want to keep trying more Indian recipes. 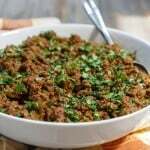 The great thing about keema is that you can make it with any type of ground meat: lamb, goat, beef, turkey, etc. It’s delicious when served over rice or when eaten with a side of my paleo naan. 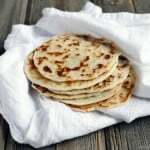 You can even use it as a filling for my paleo samosas or my paleo paranthas! Keema has been one of my favorite dishes since childhood. You can make this with any type of ground meat (beef, lamb and goat are my favorite choices). 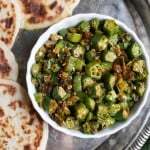 I typically eat this over rice but you can serve this with flatbread or even use it as a stuffing for samosas (Indian pastries) or parathas (Indian flatbread). I feel like this recipe as well as butter chicken are good “gateway” dishes to Indian cuisine because nearly everyone loves them! Press the sauté button, add the ghee and onions and stir-fry for 8-10 minutes, or until the onions begin to brown. Add the garlic, ginger, Serrano pepper and spices to the pot. Stir-fry for 30 seconds, then add the ground meat and cook until it is mostly browned. Press the sauté button to reduce or boil off any extra liquid if needed. 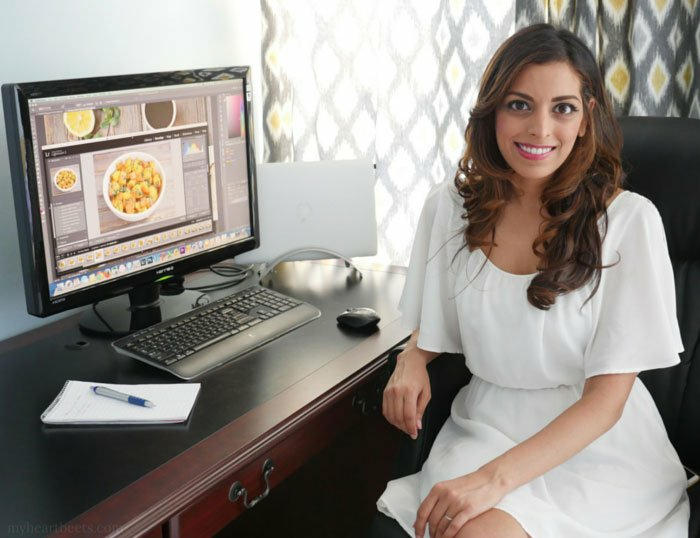 If you are following my onion masala series and would like to use it in this recipe, you can use ½ cup onion masala in place of the onions, garlic, ginger and tomatoes — just toss in the onion masala (fresh or frozen pucks) when you add the peas in step 3. You can also adjust the spices according to taste. How many ounces canned tomato is used for this recipe? What size can of diced tomatoes? Thx! I’m replying very late, but try out “asoefitida”, or “hing”. It’s a great substitute for garlic and onions, many Jains who do not consume root vegetables use it in their traditional Indian cooking! Just a pinch or two! I’ve made this without garlic and onions. I added what was in my fridge: half a bell pepper and one small zucchini for the moisture. This made it even more like an Indian spaghetti sauce! It was still delicious but different than the original. Have you tried this with Goat or Chicken? If so, is the timing the same? You can make keema with any ground meat – I prefer goat, lamb and beef but chicken works too! The time remains the same – while the meat may be done sooner, I like pressure cooking it for 30 minutes to help combine all the flavors. Did you add water before pressure cooking? If so, how much? Hi Zahraa, I didn’t add water to this. What a terrific recipe! I’ve always been reluctant to try spicy foods– I don’t tolerate hot spices well. So i made this last night, leaving out the Serrano pepper. Both my husband and I loved it! Thanks, Ashley! 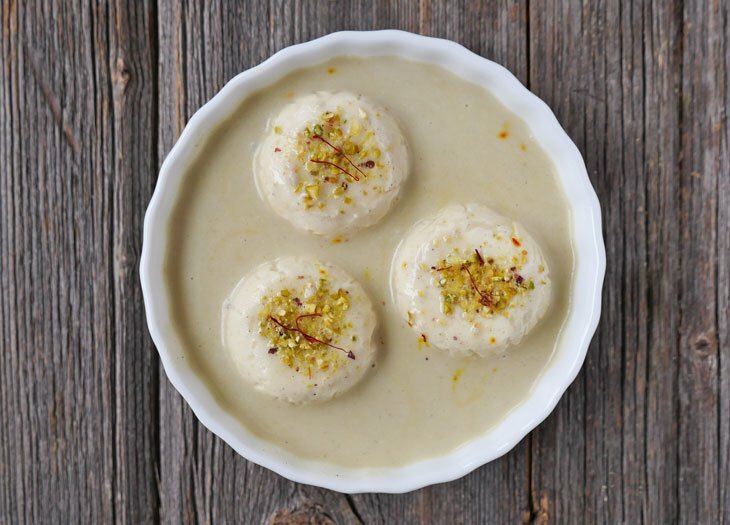 What’s a good gateway vegetarian dish into the wonderful world of Indian food? So happy to hear that, Jessica! 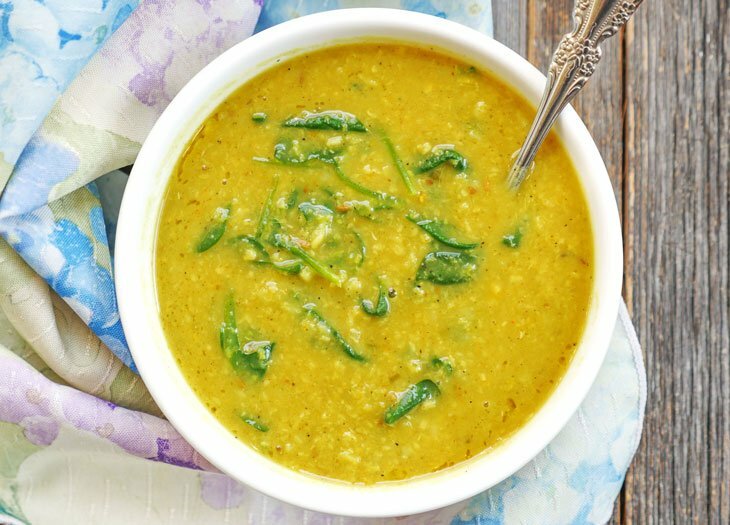 I think you’ll love my recipe for navratan veggie korma: https://myheartbeets.com/navratan-korma-vegetable-korma/ 🙂 If you try it, let me know what you think! I don’t have an instapot can I still make this?? OMG! So excited to find this site! 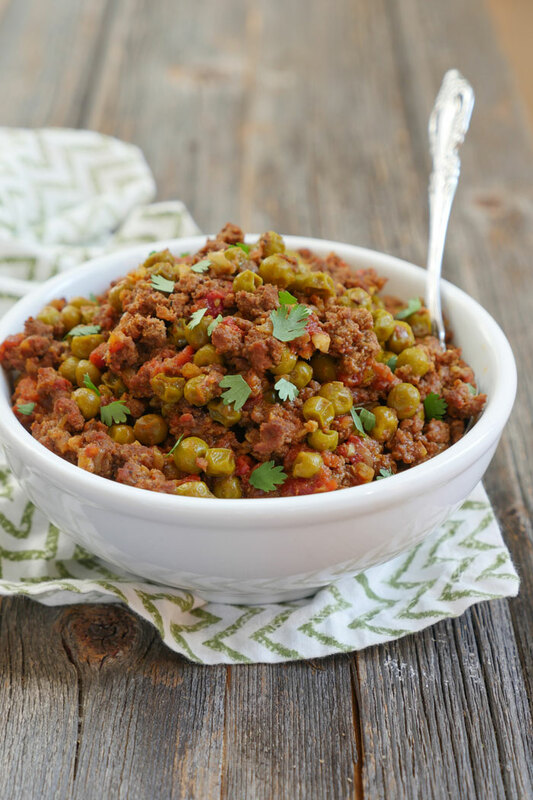 And can’t wait to try this keema recipe in the instant pot! My son used to love keema as a kid (he’s half Punjabi but not into spice at all!) and hubby I’m sure will eat it too! Thank you!! Hey Ashley – what kind of peas did you use – canned peas? Frozen peas? Dried peas? Just saw this and can’t wait to make it! 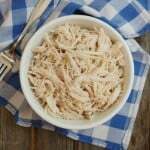 How do you think I’d need to adjust the recipe if I used ground turkey/chicken instead? 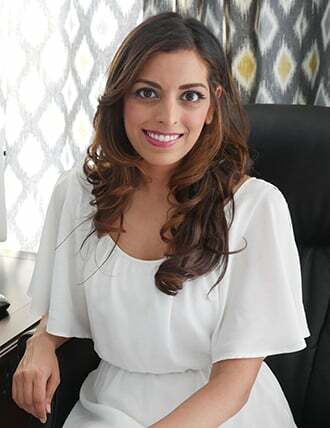 Hi Shreena! I don’t think you’ll need to change anything – you can cook it for less time though if you’re using lean turkey. I have made a few keema recipes over time and I really really enjoyed this one. Just the right balance of flavours for my palate and of course it was painfully easy! I added the frozen peas after releasing the pressure while I boiled off some of the extra liquid and it worked really well. Thank you! What do you suggest for a side dish? Can i use ginger garlic paste instead- if so how many tablespoons ? 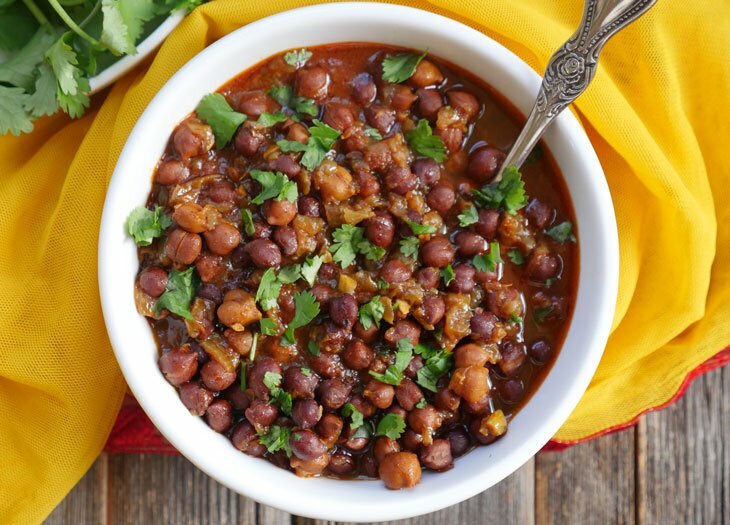 My instant pot doesn’t have bean chili button- so what would i choose to cook? Another Myhearbeets winner at our house! I’ve made this several times, served over kale sauteed in garlic and curry powder. I prefer less tomato flavor so I drain the liquid from the tomatoes and use 1/2 to 1/3 of the can. SO, so GOOD. Thank you!! Kira, so happy to hear that!! 🙂 Thanks for letting me know how much you like it! Sounds delicious but the recipe here says 10 min on high pressure and the printed version says 30 min on bean/chili. Which one is it? Will either one work? Thanks! Hi Maria! I recently updated the recipe to a 10 min cook time 🙂 I suggest using that (though either way works)! Hello Ashley, Made this and it rocked. Wanted to ask, where did you but those silicon trays for freezing the Onion masala. I was checking Amazon however nobody on-line mentioned the size. I know your receipe asked for 1/4th cup size each. I want to get the same size partially because whenever I tried to customized your receipe, my wife complained so have made it a habit of doing things to the word of your receipe. If I’m using your onion masala pucks for this, do I still need the ghee? Or do I just throw the frozen pucks in with the spices and let them melt as I brown the meat? Hi Ashley, can you clarify the use of the pucks? You say in the masala recipe to use the pucks to replace the onion, garlic, ginger, tomato – so I take that to mean you wouldn’t put onions in with the ghee, as written? Just brown the beef and add spices “to taste”? 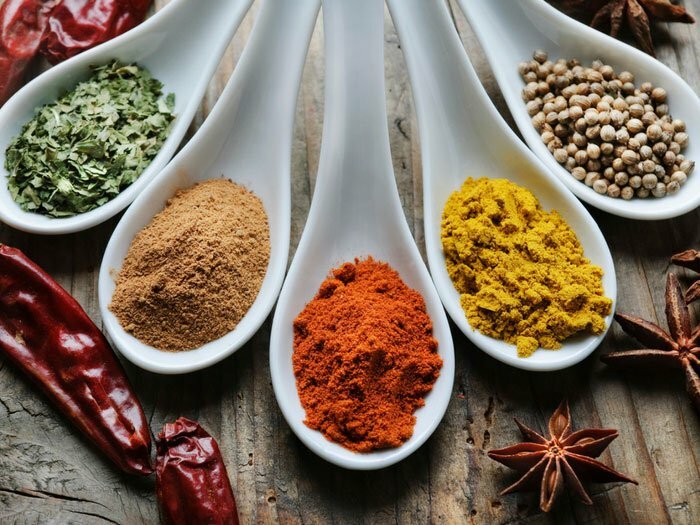 Can you recommend amounts on the spices, especially the ones that will be added in the puck, ie coriander, paprika, cumin, turmeric, cayenne? Thanks! BTW, I made the onion masala, I used red palm oil, for the first time. It’s supposed to be a “neutral” oil, but yet it has a taste that’s hard to describe – not sure I like it! Next time I’ll try avocado – have you used coconut oil? Theresa, great question! I just updated the notes to clarify — add the masala in step 3 along with the peas (fresh or frozen). And yes when using the onion masala you don’t need to add more onions – just ghee, serrano pepper if using, meat, spices, onion masala pucks and peas 🙂 As for what oil to use I suggest avocado oil — you can use coconut oil but it will impart a flavor unless you buy refined coconut oil which has the flavor removed. Hope that helps! Thanks, yes that was helpful! Tried it today and it was very good. The pucks stayed pretty formed, so I stirred them to mix once I did the saute at end – wondering if it would develop a richer taste if thawed first and stirred in from the beginning – it still had plenty of great flavor anyway, so I’m guessing I’ll often use them frozen when I come in at the end of the day and need something to work right away. Thanks! Hi, I got 90% lean ground beef. Do I have to drain at all after browning the meat? Or do I just leave it in and start the instapot? Hi Taryn, no need to drain – you can use lean beef in this recipe 🙂 Let me know what you think of the keema! Made this today and despite me not following directions it is delicious! I added the garlic and ginger too early and had to keep stirring so the onion mixture didn’t stick. I added the spices, tomatoes and ground beef (1.3lbs) and cooked for 10 minutes with 5 minutes NPR. I did NOT precook the meat on saute and this turned out amazing! Reduced mixture on saute for a couple of minutes. Had a snack, some in fridge and froze half. Kim, I’m so happy to hear that it turned out well for you 🙂 Great to know about not needing to sauté the meat – I’ll have to try that the next time I make this! Thanks for sharing! Instead of peas my mom made this dish with potatoes when I was a kid any ideas on how to adjust this recipe to use potatoes? It worked perfectly…and tasted amazing….thank u! Hi Ashley, can this Keema matar recipe be frozen after preparation? I’m asking because I love this recipe but too lazy to cook again and again. Please let me know what you think. Ashish, I’m glad you decided to leave a comment! And I’m so happy to hear that you liked the keema and chicken curry! I hope you love all the recipes that you try from my site (and I hope you’ll come back to leave a comment and let me know lol)! I would like to double this recipe using two pounds of ground meat … would you advise adjusting the cooking time for the instapot ? If you double the recipe then double all of the ingredients but keep the cook time the same 🙂 Enjoy! I am not someone who reviews much (mainly because I forget). This recipe is amazing! I love it! My husband who doesn’t like ground beef was going for seconds.. I’m super excited. Thank you! Thanks for posting this. The spice blend was perfect, very quick and easy. Oh my, my son loved the keema so much, he ate two huge helpings and wanted it for lunch the next day. My husband thought the keema was the best he ever tasted. He said way better than any restaurant. As for me, I loved how easy this was to make. I have a complicated traditional keema recipe but I think this will be my go to recipe from now on. Ashley you are amazing. I love all your recipes. 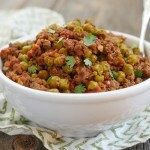 Bree, I’m so happy to hear that your son and hubby liked the keema so much!! Thank you for the kind words and for letting me know how this turned out for you and your family! Hi Nandeep, I am not familiar with vegan mince so I can’t say for sure – do you think it would fall apart or get mushy under pressure? If so then I would just stir it in at the end. If you think it will hold up with the cook time then you can add it in earlier. Let me know how it goes!